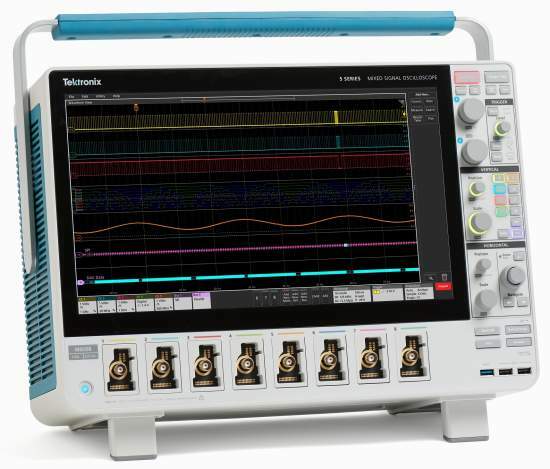 BEAVERTON, Ore., June 6, 2017 /PRNewswire/ -- Tektronix, Inc., a leading worldwide provider of measurement solutions, has again broken through the innovation barrier with the introduction of the new 5 Series MSO mixed signal oscilloscope. To better meet modern electronics design challenges, the 5 Series MSO redefines the midrange oscilloscope with a host of innovations including the industry's first FlexChannel™ technology that allows 4, 6 or 8 analog channels and up to 64 digital channels, integrated protocol analysis and signal generator, a new 12-bit signal acquisition system, a massive high-definition capacitive touch display, and a highly intuitive Direct Access user interface – delivering unprecedented flexibility and unmatched visibility into complex embedded systems. As embedded systems used in everything from smart watches to hybrid vehicles become more sophisticated, engineers developing these systems require more from their go-to test and measurement solution – the oscilloscope. To effectively and efficiently characterize and debug these more complex systems, designers need to look at a much larger number and wider variety of signals than in the past. At the same time, usability and fast time-to-insight are critical to staying on time and budget. As a clean-slate design, the 5 Series MSO is the world's first oscilloscope with the versatility and deep signal insight needed to meet these challenges. "The world of embedded electronics is expanding rapidly, driven by an insatiable demand for more electronics content in military, automotive, consumer and industrial products and systems, as well as, leading edge power technologies," said Chris Witt, vice president and general manager, Time Domain Business Unit at Tektronix. 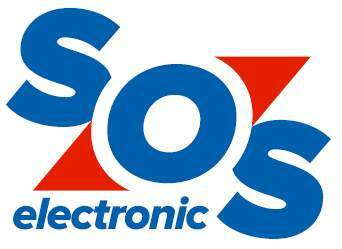 "Enabling our customers to keep pace required a completely new oscilloscope platform. 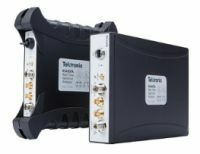 The 5 Series MSO is the culmination of the largest single platform development effort in Tektronix' history and delivers significant new innovations that will benefit our customers daily." As systems become more complex and debug problems become more difficult, engineers are finding they need more than four analog channels – the number available on most mid-range oscilloscopes today. To work around the problem, engineers would in some cases attempt to make two scopes work together, adding time, expense, and immense levels of frustration. 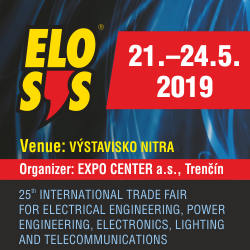 More than four analog channels are also needed for motor control and inverter design, automotive electronics, power supply design and power conversion analysis. In addition, the ability to correlate multiple analog and digital inputs is critical to gaining comprehensive, synchronous views of what's going across today's more complex embedded and IoT systems. Until now, oscilloscopes have been defined with fixed configurations: the user had to decide up front how many analog channels and whether they want zero or a fixed number of digital channels. Some scopes offer the option of adding digital channels post-purchase, but even then, it's a fixed quantity of digital channels that can't be changed as needs evolve. In many instruments, analog and digital channels are sampled at different rates, triggered using separate hardware, and stored in different-sized records, making precise comparisons impossible. 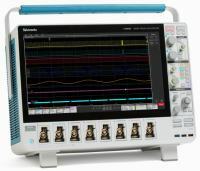 Unlike ordinary scopes, the 5 Series MSO offers models with four, six, or eight FlexChannels -- the industry's first reconfigurable oscilloscope input. By default, the input is a TekVPI connector that accepts all TekVPI analog probes, but when the new TLP058 Logic Probe is connected the input is converted to 8 digital channels. The user can add as many logic probes as they need, enabling anywhere from 8 to 64 digital channels. Digital signals are sampled, triggered, and stored the same as analog signals, greatly simplifying comparisons. Engineers love large displays on their oscilloscopes – and the 5 Series MSO delivers with the industry's first 15.6-inch capacitive touch, high definition (1920 x 1080 px) display. With the display comes an advanced user interface that lets users access controls directly through objects on the display rather than having to navigate through menus to get to more menus. The result is faster and more intuitive operation along with considerably more space for viewing waveforms and correlating signals. For added flexibility, users can also drive the oscilloscope using a mouse and conventional front-panel controls. Today's embedded designs require test equipment with inherently less noise to allow observation of ever-shrinking signal amplitudes along with the ability to view small signals riding on large signals. The 5 Series MSO incorporates a next generation front end amplifier that lowers noise approximately 4.5 dB from previous generation oscilloscopes. It also uses a 12-bit analog-digital converter (ADC) and a new High Res mode that delivers industry-leading vertical resolution (up to 16 bits). 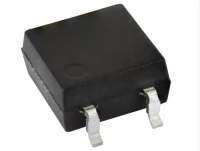 This combination of low noise and high resolution ADC delivers excellent Effective Number of Bits (ENOB) performance. The new 5 Series MSO solves this problem by offering the industry's first oscilloscope that can run as either a dedicated scope or in an open Windows configuration*. The user can switch between the two simply by adding or removing a solid-state drive that has the Windows license/OS installed on it. When the SSD is installed, the instrument boots Windows. When it's removed, the instrument boots as a dedicated scope. 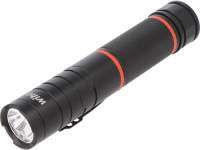 Regardless of the configuration, the scope's user interface drives exactly the same way.